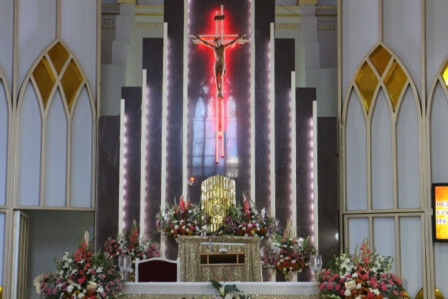 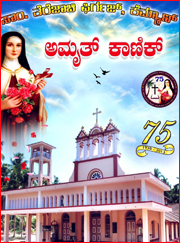 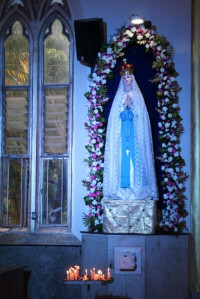 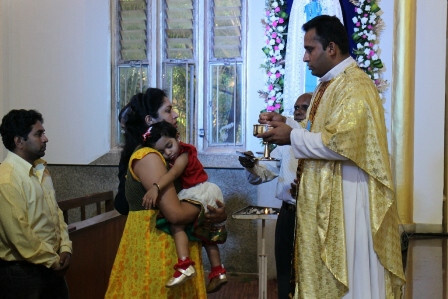 Bengaluru, Sep 8: Konkani Kulvar, Ulsoor, Bengaluru celebrated Monthi Fest (Nativity of our Blessed Virgin Mary), at Our Lady of Lourdes Church,Cambridge Road, Ulsoor, Bengaluru on Tuesday, September 8, with a Holy Mass in Konkani at 8 am. 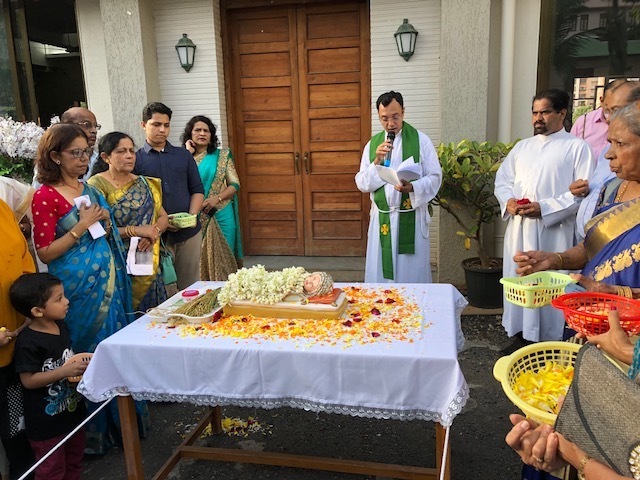 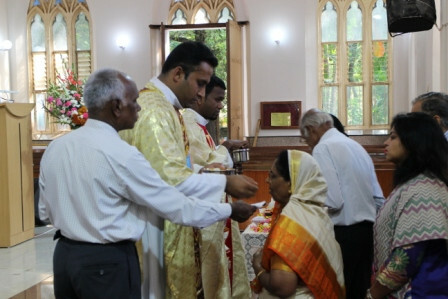 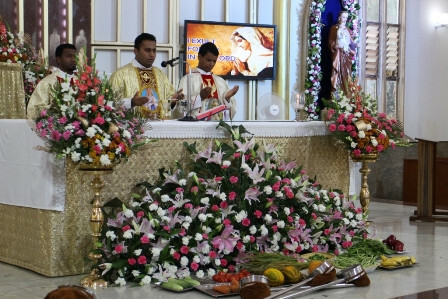 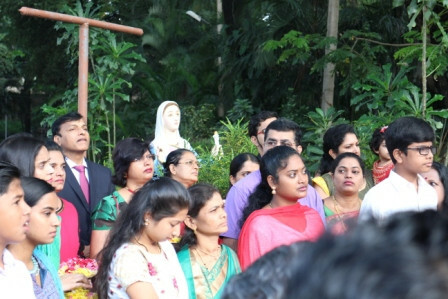 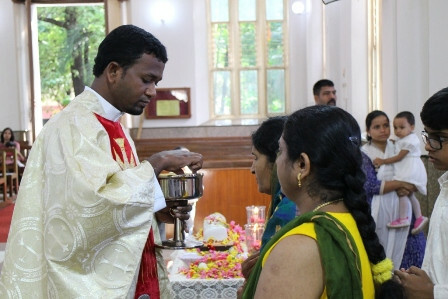 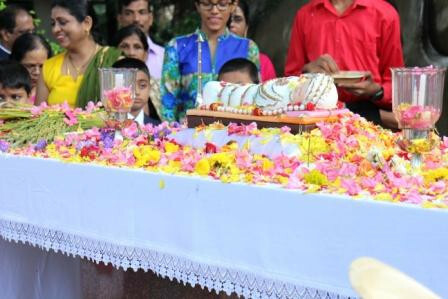 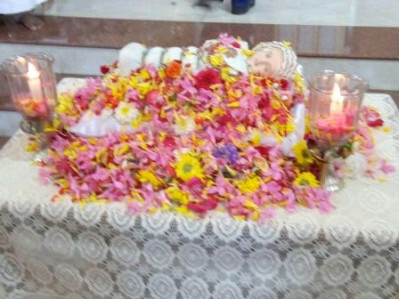 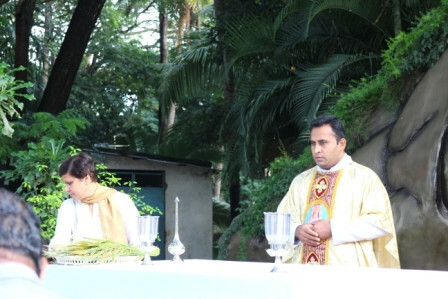 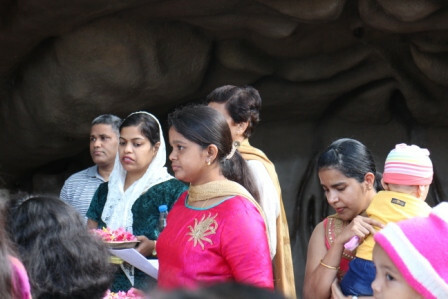 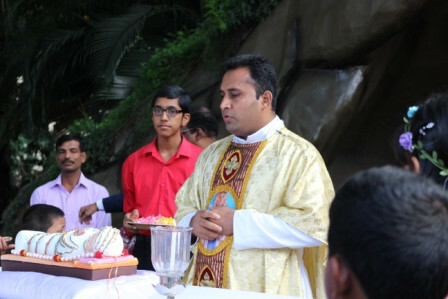 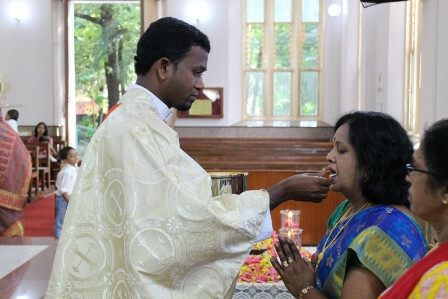 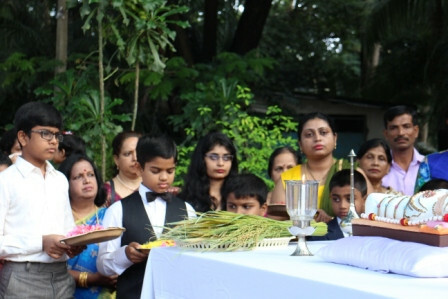 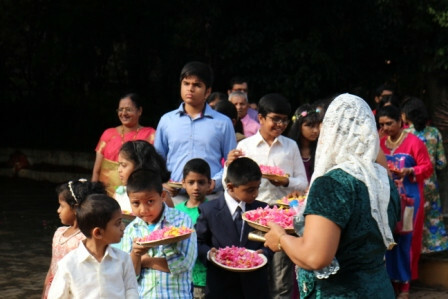 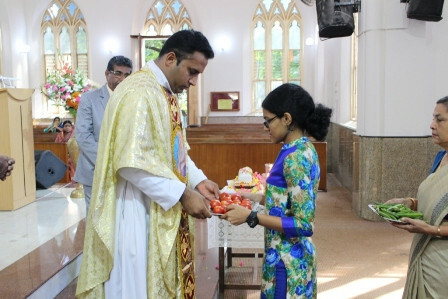 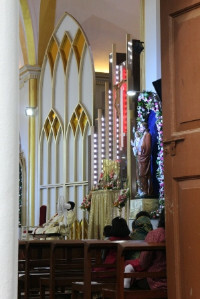 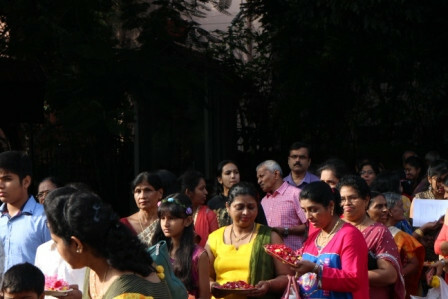 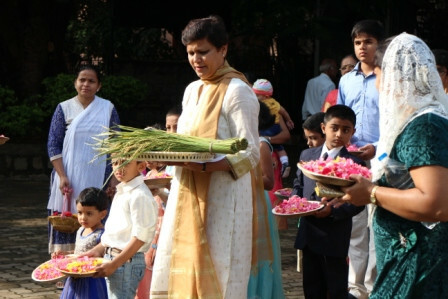 The blessing of New Paddy by Fr Arun Prashanth D’Souza was held in front of the Grotto, outside of the church, and brought in a procession singing Konkani hymn "Sakkad sangatha melyan". 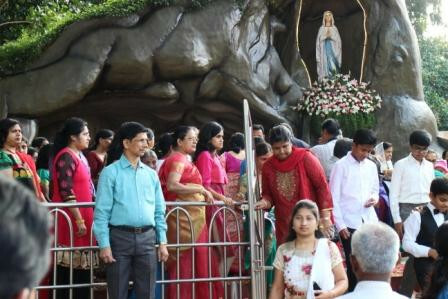 Children led the procession with beautiful flowers and gathered around the Grotto in front of Mother Bambina Mary to honor Her. 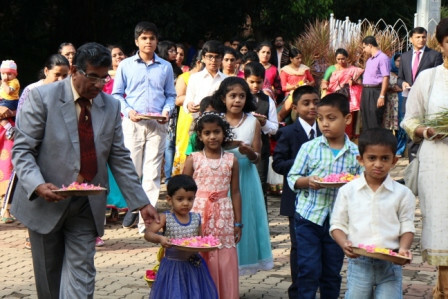 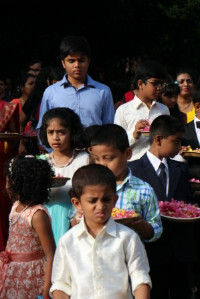 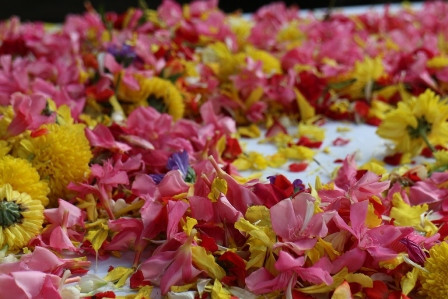 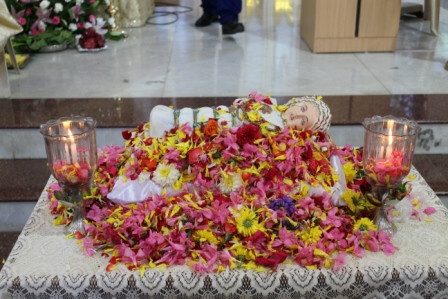 As the choir sang the beautiful Konkani hymn, ’Moriyek hogolshiyam’, the children showered colorful flowers on Mother Mary. 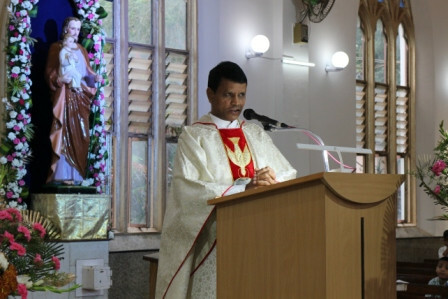 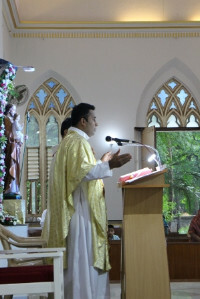 Fr Arun Prashanth D’Souza while addressing the crowd said in his introduction about the importance of MonthiFesth, Family feast and New Harvest feast. 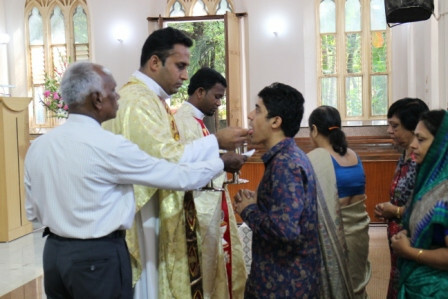 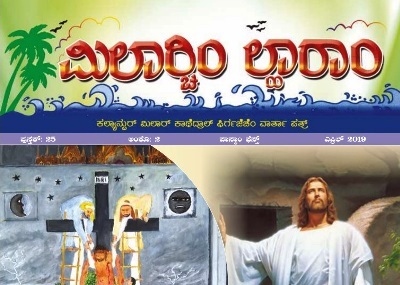 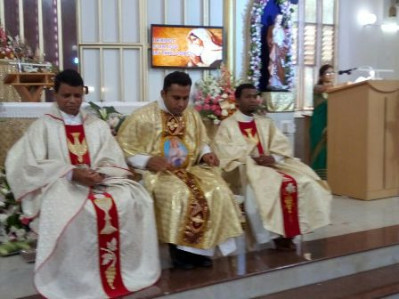 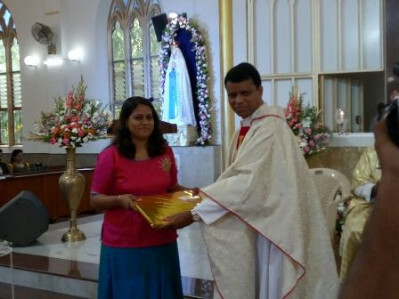 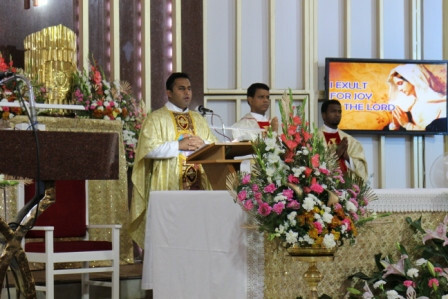 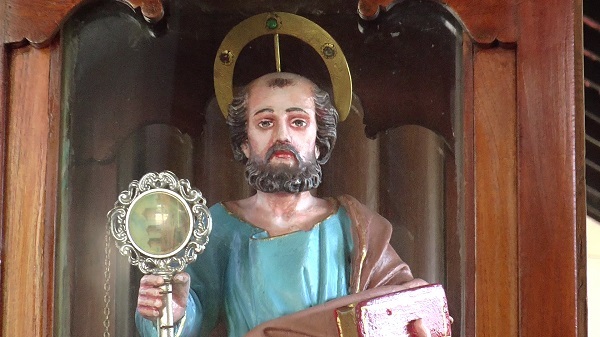 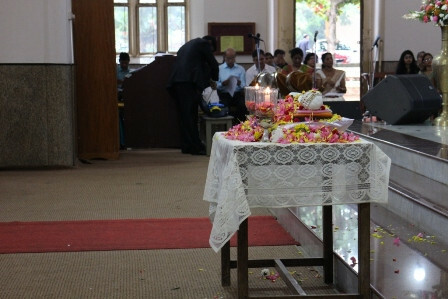 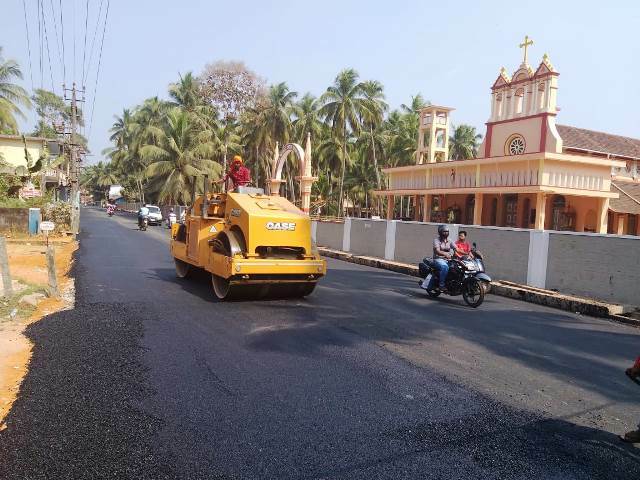 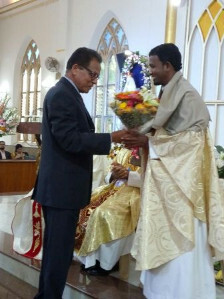 This was followed by Holy Mass in Konkani celebrated by Fr Arun Prashanth D’Souza. 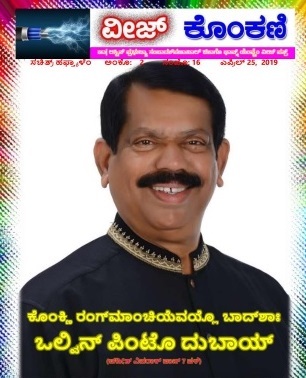 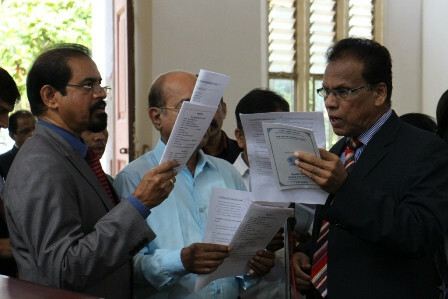 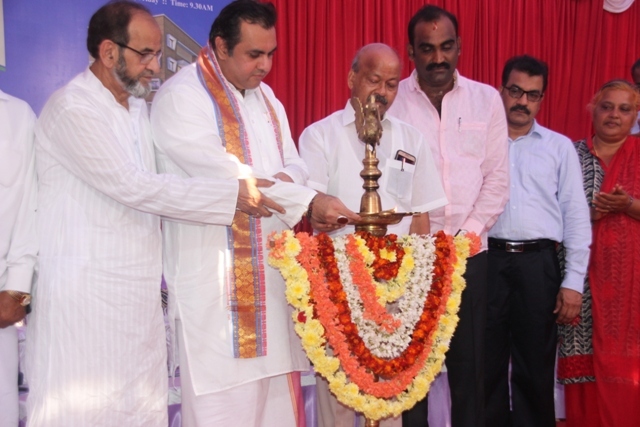 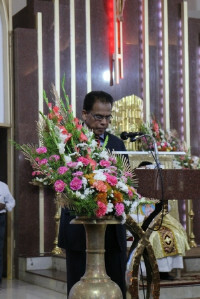 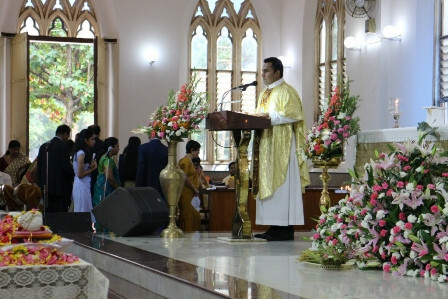 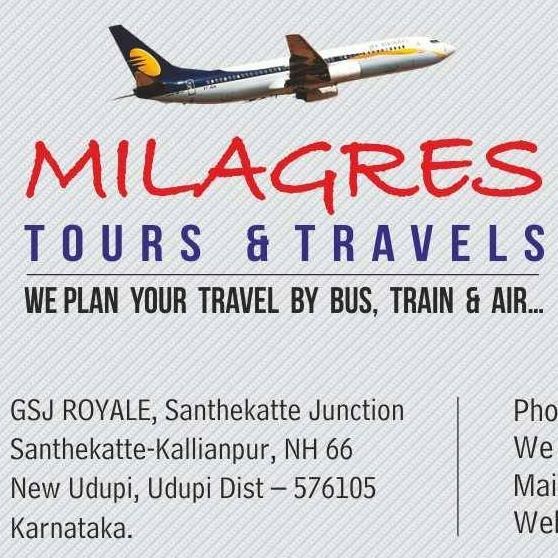 In his message Fr.D’Souza stressed on family values, and urged to keep Mangalorean Konkani culture alive. 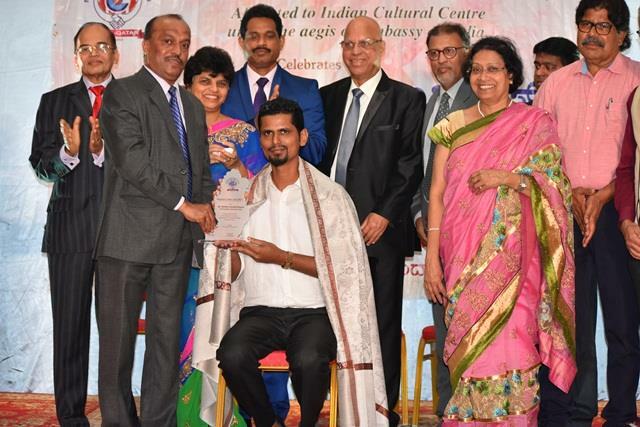 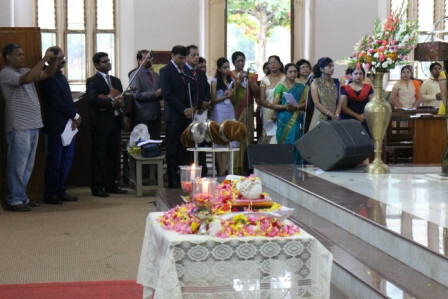 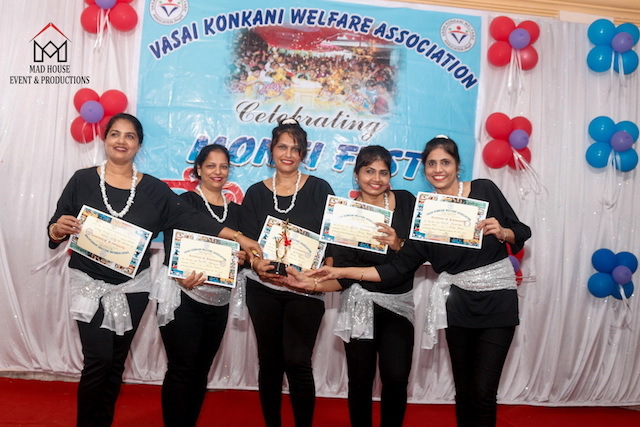 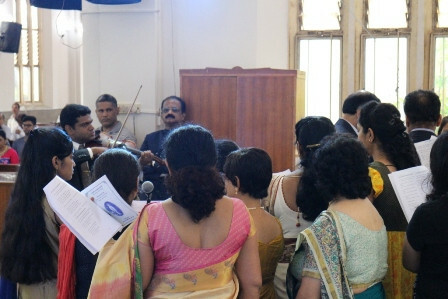 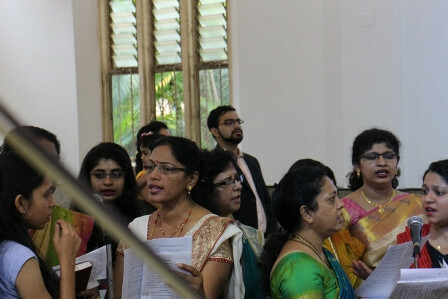 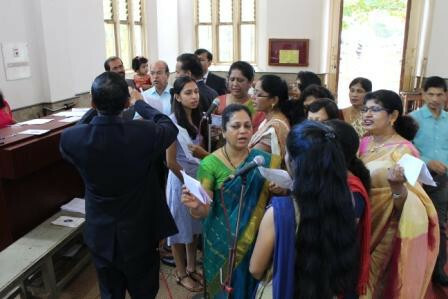 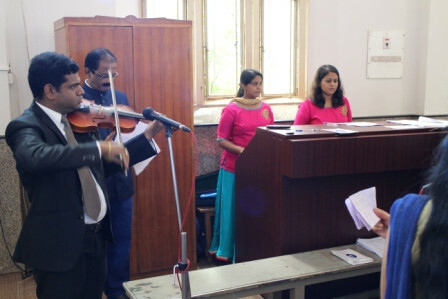 Throughout the Mass melodious Konkani choir played a major role in enriching the spirituality of the event led by Bernadette Lewis with her dedicated team. 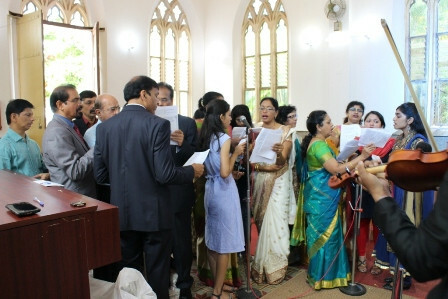 Thanks to Nelson D’Souza & Marie Claire for providing soulful music to the choir. 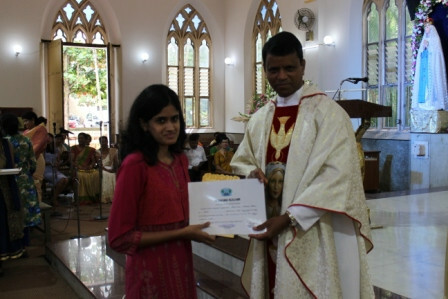 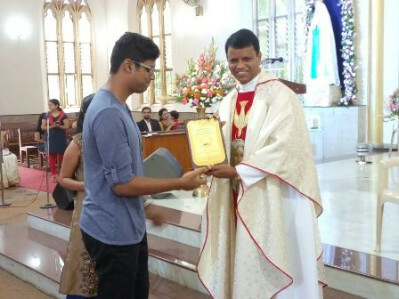 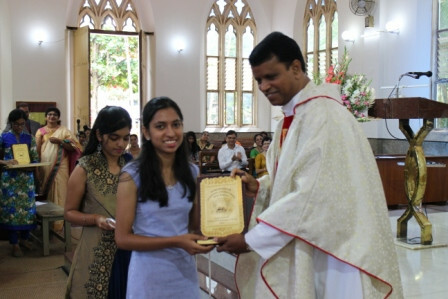 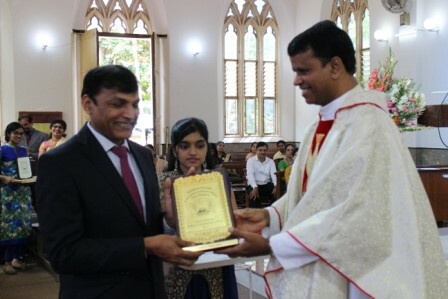 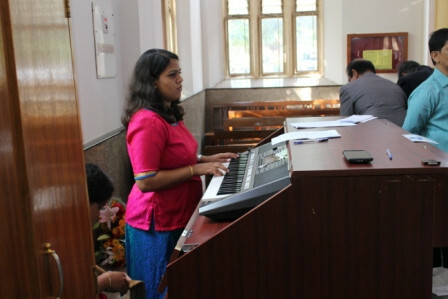 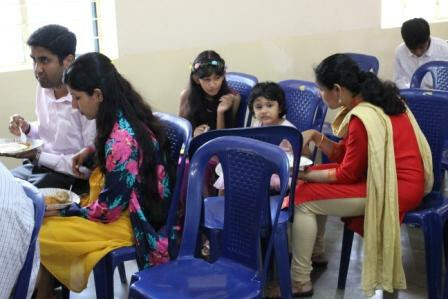 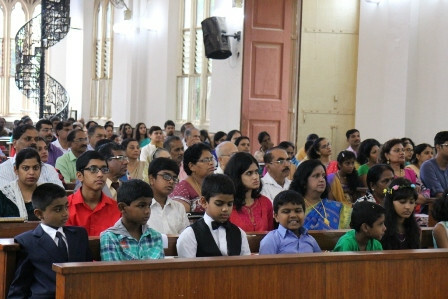 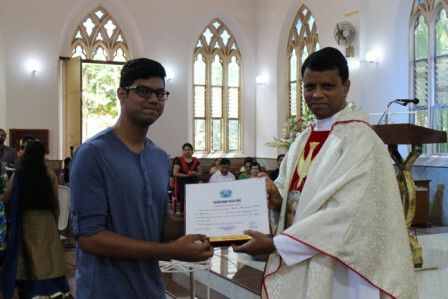 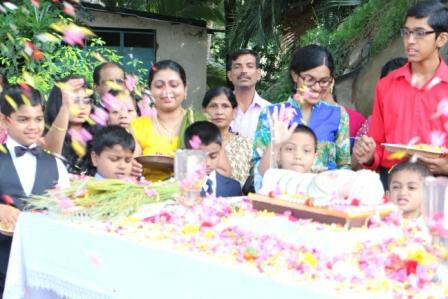 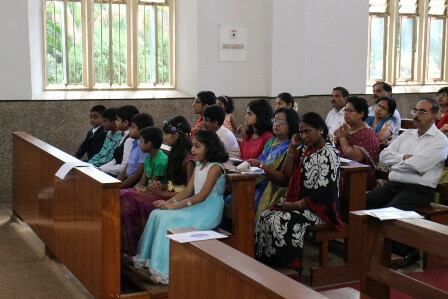 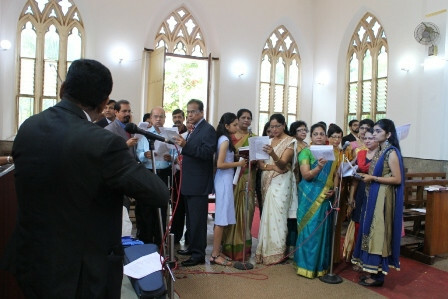 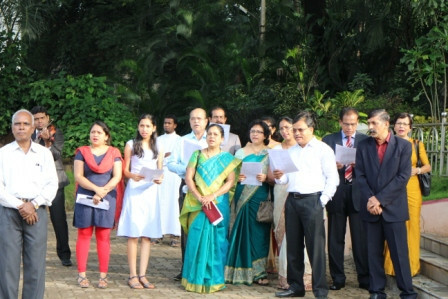 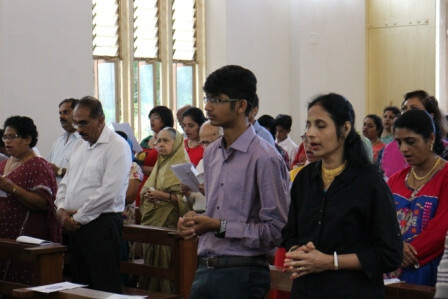 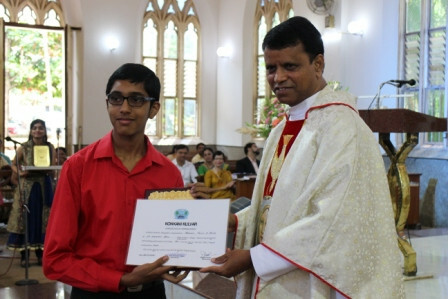 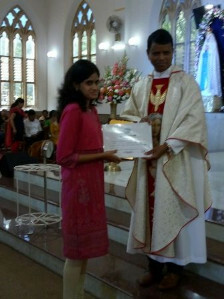 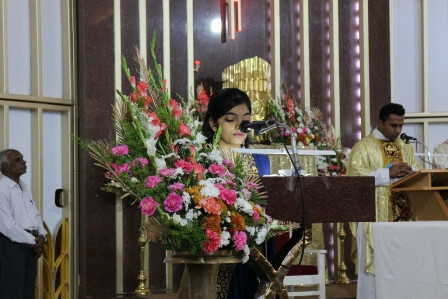 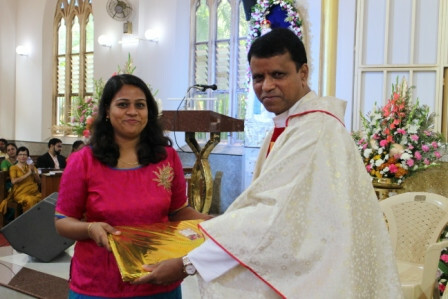 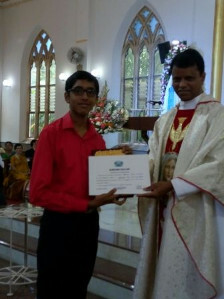 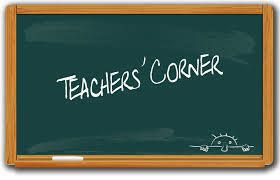 At the end of the Mass, merit students were honored: Andrea Neha Dias on securing highest marks in 10th Standard, Reaven Clint D’Souza on securing highest marks in 10th Standard, Leticia Dishel Vas on securing highest marks in 2nd PUC, Araditha Carmel Royan, on securing highest marks in B.Com and TusharPrabhakar Menezes, on securing highest marks in BBA. 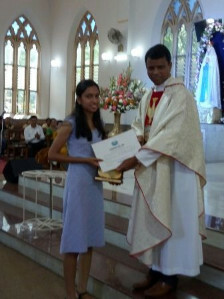 They were awarded with memento and certificates by the parish priest. 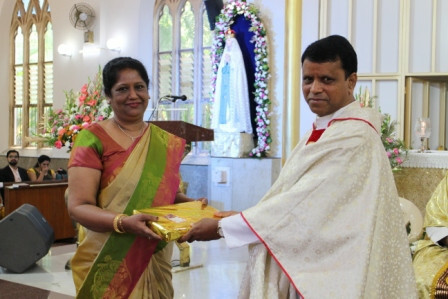 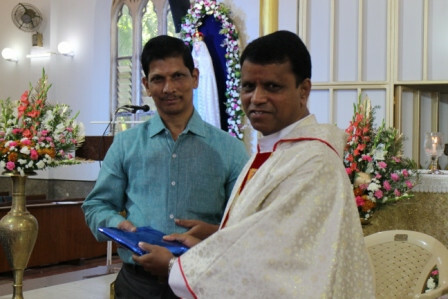 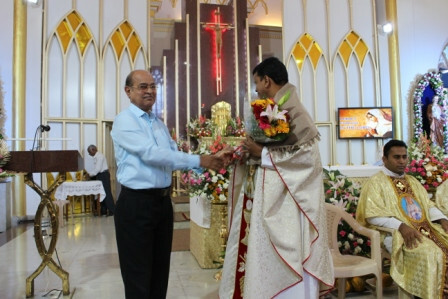 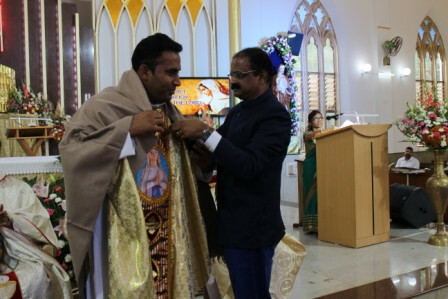 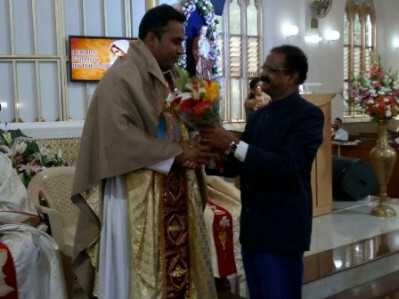 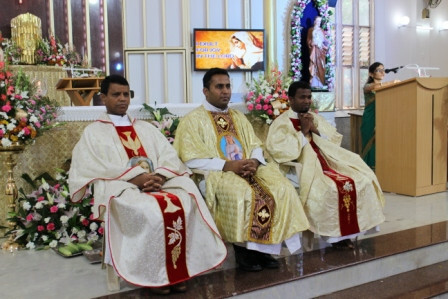 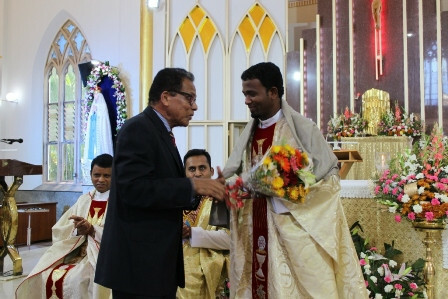 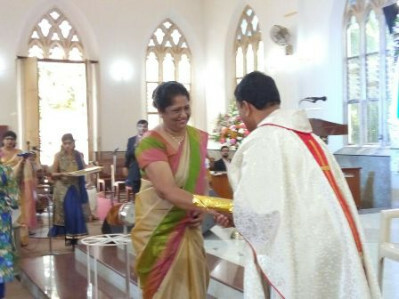 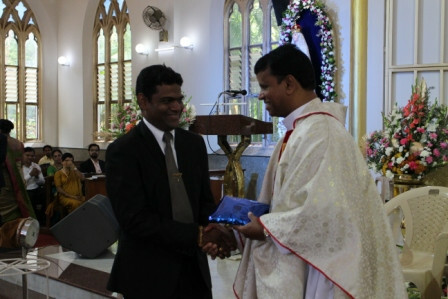 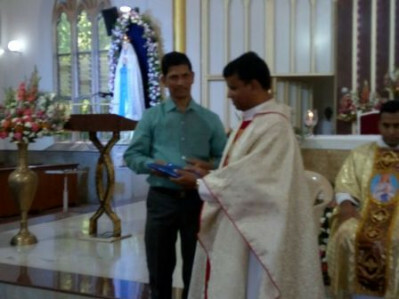 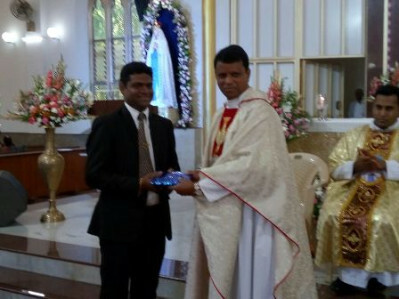 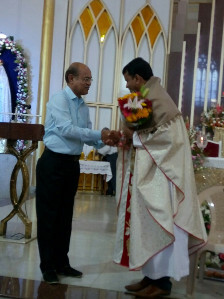 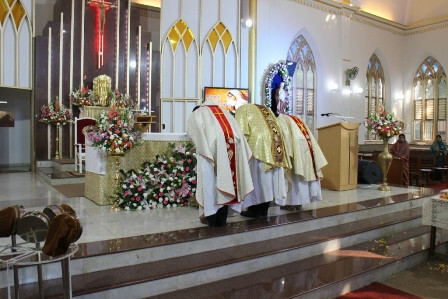 Parish priest Fr Norman Bernard, Assistant parish priest Fr.Francis and guest priest Fr Arun Prashanth D’Souza were honored with the shawl and flower bouquets by the office-bearers of Konkani Kulvar. 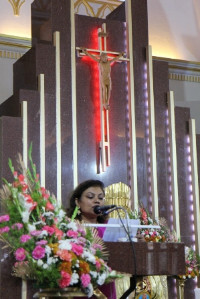 After the Mass Mrs.Rita Olivera proposed the vote of thanks. 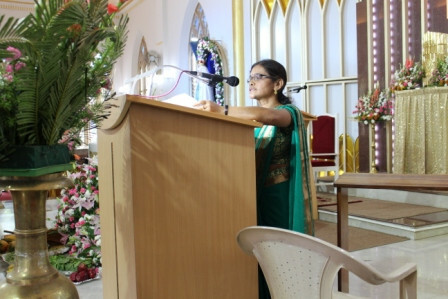 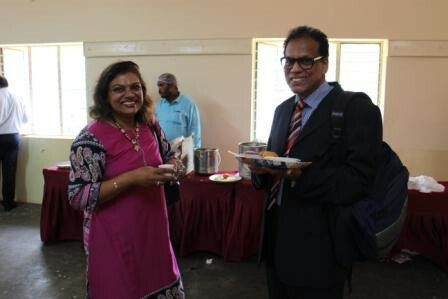 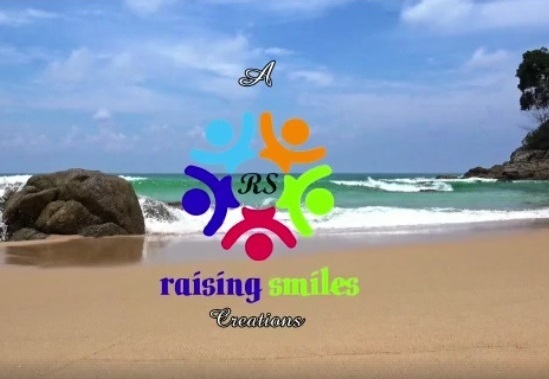 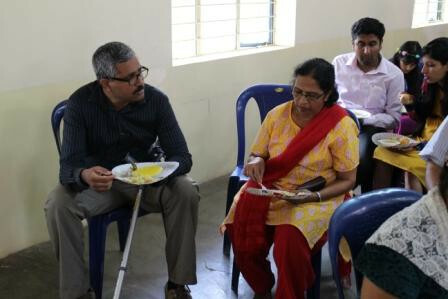 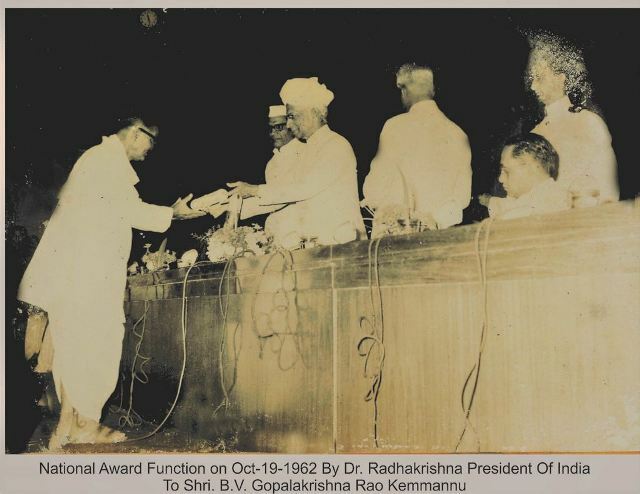 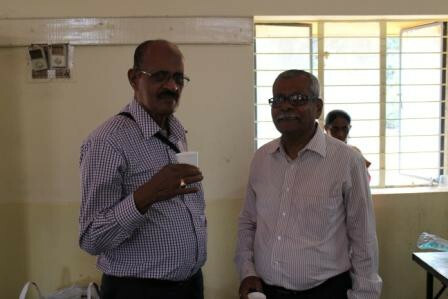 She thanked on behalf of Dr.Ajith Benedict Rayan, president of Konkani Kulvar all those who contributed generously and actively took part in the celebration. 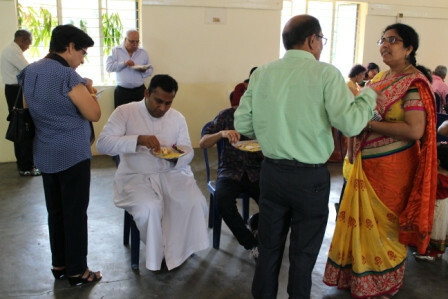 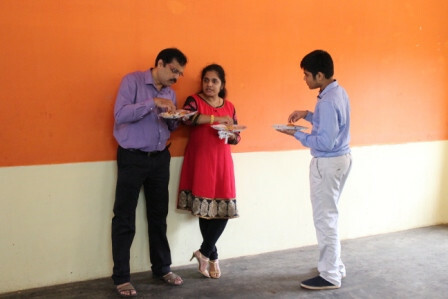 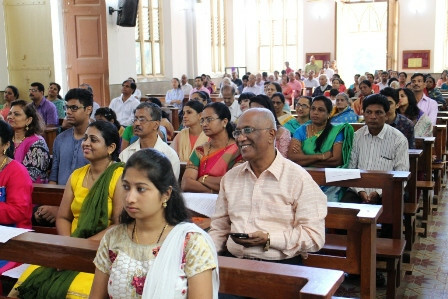 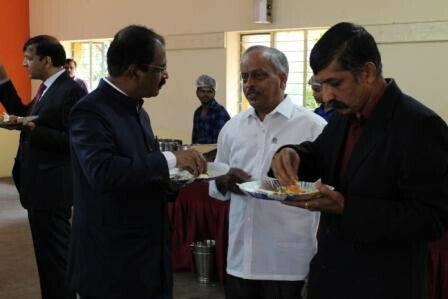 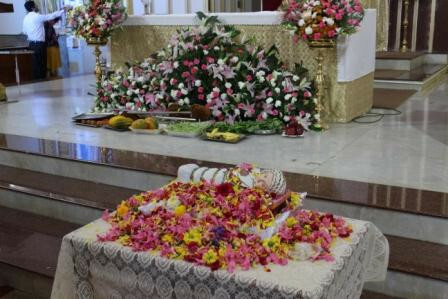 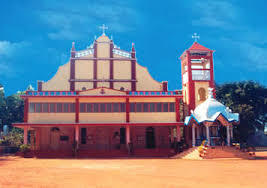 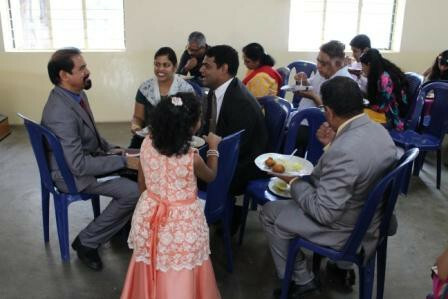 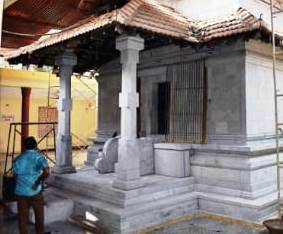 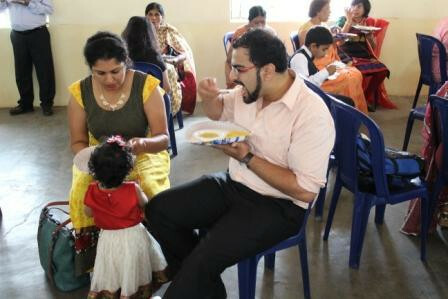 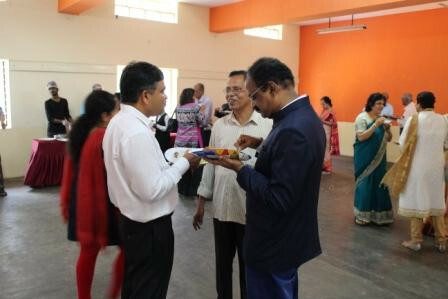 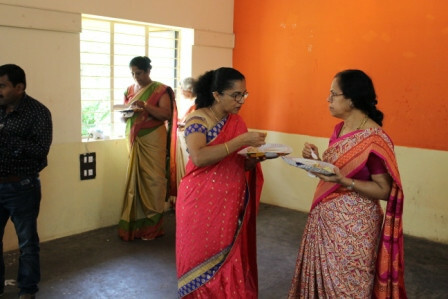 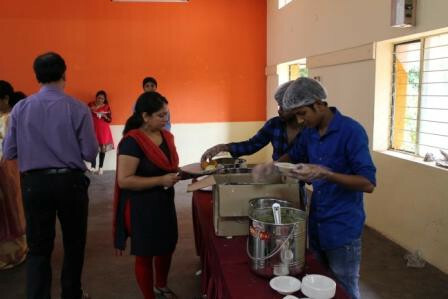 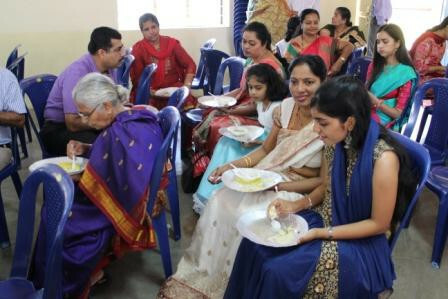 Breakfast was served in the Church Hall followed by distribution of Blessed paddy (Novem) and sugarcane to the devotees in a true Mangalorean tradition. 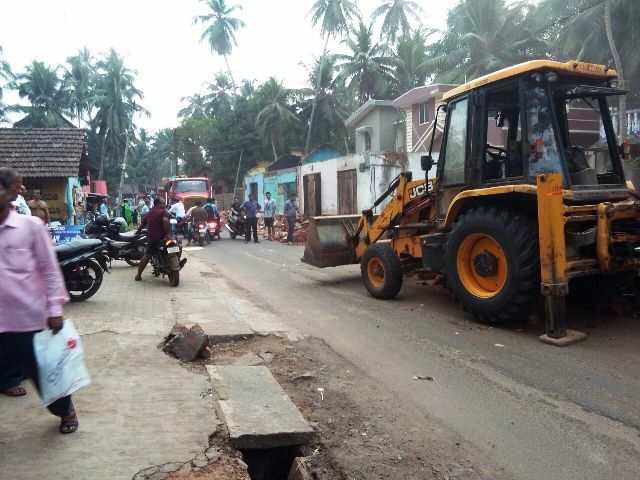 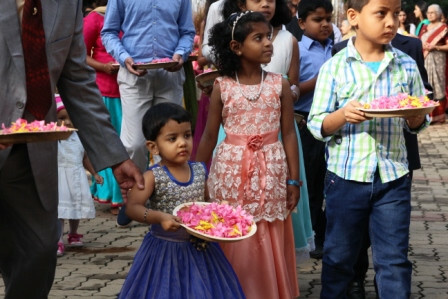 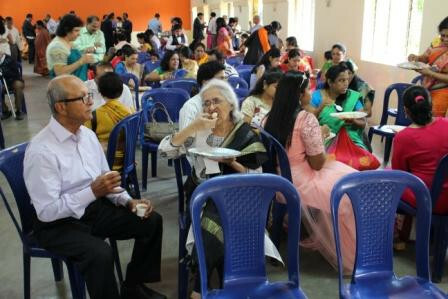 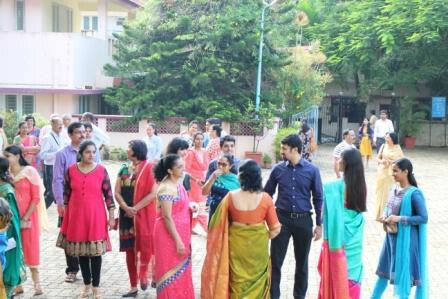 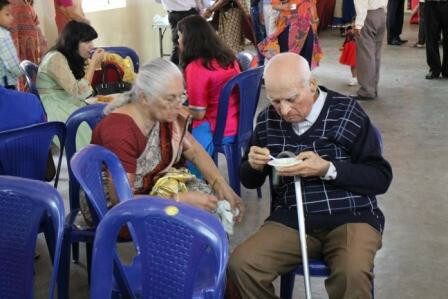 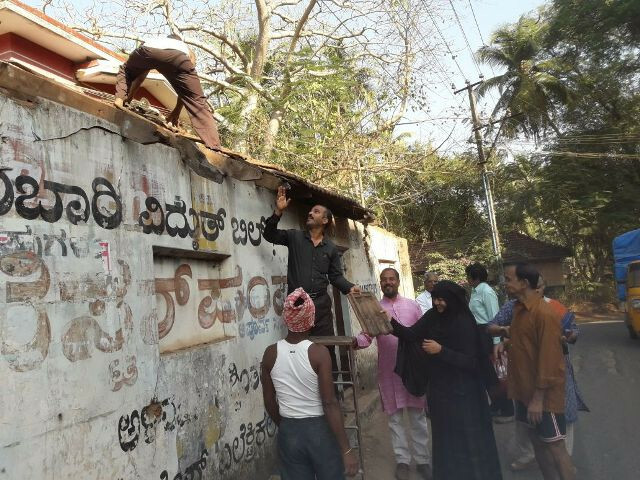 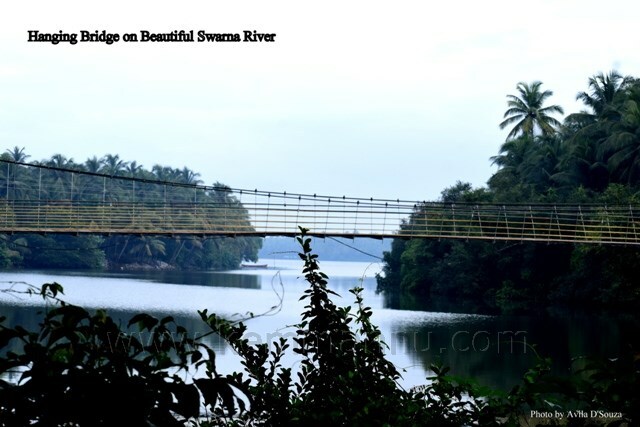 There were around 350 devotees gathered for this feast and they cherished every moment of this celebration as this event reminded of their good old days in Mangaluru. 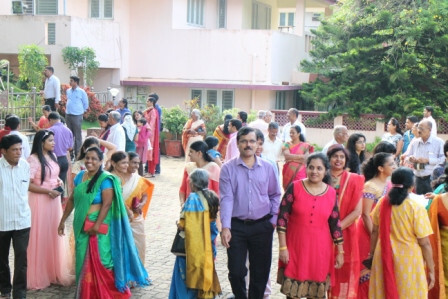 On the whole, Monthi Saibinichem Festh was celebrated by Konkani Kulvar with fervor and in a grand and traditional way with the support of all the members and their families.